Games of chance have a rich and colorful history, but perhaps the most famous - and notorious - of them all is the simple three-in-one proposition game known alternatively as Find the Lady, Tossing the Broads, and most popularly, Three-Card Monte. While written descriptions of early versions of this classic con game date back to at least the 16th century, Three-Card Monte hustlers are on the streets of the world's largest cities to this day, still able to draw the unsuspecting into wagering their hard-earned cash, a testimony to the lure and intrigue of this game. 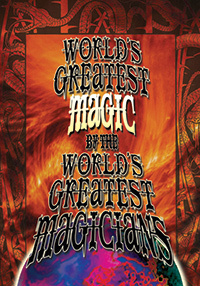 The entertainment potential of this simple hustle didn't escape the notice of magicians, either, with Professor Hoffman being just the first of many conjurors to adapt the basic premise of this con game for the amusement of their audiences. 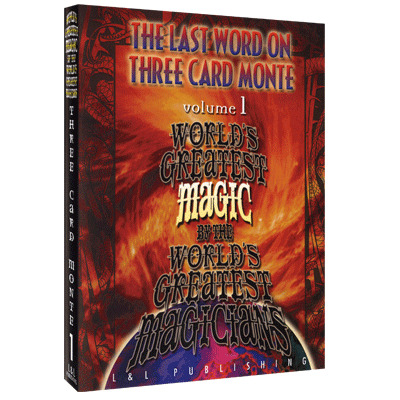 In Volume 1, you'll discover a variety of different artists with their own unique interpretations of Three Card Monte. Dai Vernon leads off with a routine that has its roots deeply in the game's traditions. With just three ungaffed cards, Vernon first bewilders a lay audience and then discusses the fine handling points with Michael Ammar, Gary Ouellet, and Steve Freeman. Fernando Keops is next, offering his version, and many additional fine handling points of Vernon's routine. Chicago card expert Steve Draun manages to still keep the audience from finding the money card even when it has a paper clip attached to it, while David Regal turns the game into a fine example of card conjuring where the money card vanishes and reappears elsewhere. Scotty York conjures images of card hustlers of the past as he presents his version of Martin Lewis' routine, while John Guastaferro uses the game to set up a sensational transposition between two selected cards. Gregory Wilson takes to the streets in true Monte style, winning personal possessions from passers-by in the process, while, finally, Henry Evans eliminates a card to play a stunning version of Two-Card Monte, yet the spectators still cannot win.